Anterior Cervical Discectomy is a surgical decompression procedure that treats nerve root or spinal cord compression through an anterior approach (through the front of the neck) to relieve spinal cord or nerve root pressure, alleviating pain, numbness, weakness, and tingling sensation. Decompressing the spinal cord and nerve roots of the cervical spine with discectomy helps stabilize the affected vertebrae. Anterior Cervical Discectomy may also be done for cervical degenerative disc disease or to remove bone spurs (osteophytes) associated with cervical spinal stenosis and arthritis. 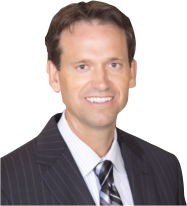 Gerald Alexander, MD, your Orthopaedic Spine Surgeon in Orange County, specializes in Anterior Cervical Discectomy. Dr. Alexander has over 17 years of experience in spine treatment and care. He completed his spine surgery fellowship at the internationally-recognized UCLA Medical Center and was trained by two of the country’s top orthopaedic spine surgeons, Edward Dawson, MD and Rick Delamarter, MD. Dr. Alexander has helped pioneer cutting-edge techniques, such as Artificial Disc Replacement, Outpatient Microsurgery, and Minimally Invasive Spine Surgery, as alternatives to traditional spine surgery. He has been awarded “Top Doctor” in Orange County by the Orange County Medical Association (OCMA) and Orange Coast Magazine. Using modern surgical techniques and specialized instruments, Dr. Alexander has performed hundreds of minimally invasive outpatient spine surgical procedures that traditionally would have involved lengthy hospitalization.